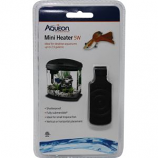 Aqueon offers a full line of premium aquarium products designed and formulated by hobbyists to benefit the health and well-being of aquatic life. 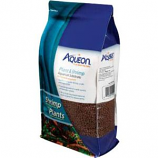 Promotes the growth of a wide variety of freshwater plants. 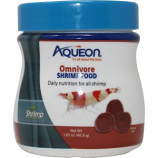 For use with freshwater shrimp snails and tropical fish. 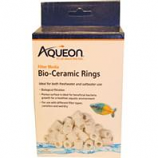 Made from clay based material great for aquascaping. 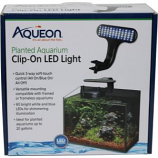 . .
Optimal light for freshwater or saltwater fish and low-medium light level plants. 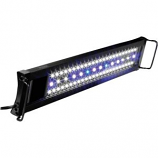 Bright LED lighting-white blue moon glow and color-enhancing RGB LEDs. RF Remote control set 24 hour timer. Automatic 30 min ramp times to reflect a gradual sunrise and sunset environment. 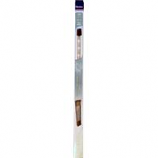 Low profile with adjustable legs to fit multiple aquarium lengths. 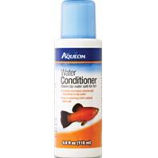 Ideal for both freshwater and saltwater use. Biological filtration. Porous surface is ideal for beneficial bacteria growth for a healthier aquatic environment. 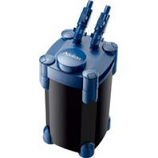 For use with different filter types: canisters and wet/dry. .
3 way soft-touch control (all on/blue on/all off). 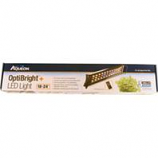 60 bright LEDs help support and grow lush plants. . . .
3 way soft-touch control (all on/blue on/all off). 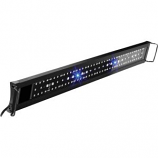 60 bright LEDs with blue spectrum for a deep sea look. . . .
Replaces important trace minerals removed through chemical filtration. 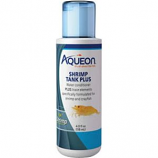 For use when preparing tap water for new aquariums performing water changes or when adding water due to evaporation. . . .
Instantly conditions tap water making it safe for shrimp and crayfish. 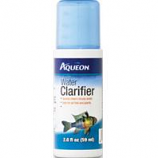 Neutralizes harmful chlorine chloramines ammonia and heavy metals. 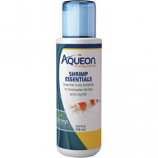 Contains beneficial trace elements for proper health and color in various freshwater crustaceans such as shrimp and crayfish. 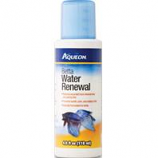 For use when preparing tap water for new aquariums performing water changes or when adding water due to evaporation. . Fully submersible.. Shatterproof.. Features thermal safety shut-off.. 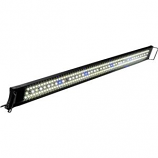 Always set to the ideal temperature.. .
For use with aqueon modular led fixtures. Maintains brightness and color over time. 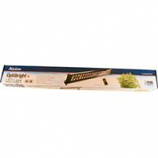 Uses up to 70% less energy than comparable t8 fluorescent bulbs. . . Efficiently warms water. Fully submersible. 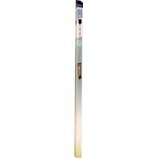 Quick and easy installation; includes suction cups for vertical or horizontal placement. . . 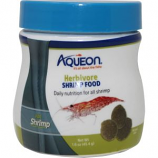 Formulated for freshwater shrimp and crustaceans requiring a primarily plant focused diet.. Fish meal free. 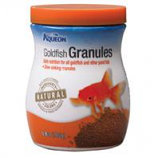 Nutrients for exoskeletal growth. Color enhancers for vibrancy. . Fish meal free. 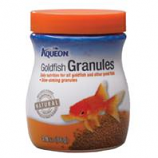 Nutrients for exoskeletal growth. Color enhancers for vibrancy. . . 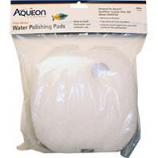 Ideal for both freshwater and saltwater use. Biological filtration. Geometric surface area is ideal for beneficial bacteria growth for a healthier aquatic environment. For use with different types of filters: canisters and wet/dry. . 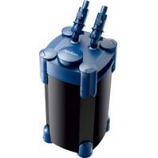 Designed for aqueon quietflow canister filter 300 and canister filter 400. Biological and mechanical filtration. Provides surface area for benefical bacteria. Traps large particles debris and solid waste. 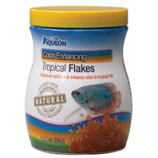 Improves overall appearance and water quality for fish and other livestock. 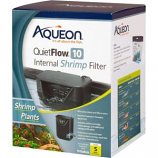 Designed for aqueon quietflow canister filter 200. Mechanical filtration. Traps micro particles and debris. 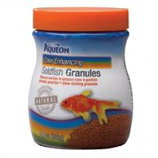 Improves overall appearance and water quality for fish and livestock. 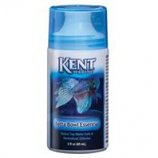 Ideal for both freshwater and saltwater use. 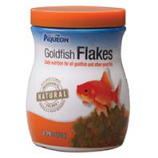 Whether feeding common goldfish fancy orandas or koi this food provides a daily diet to meet their nutritional needs.. 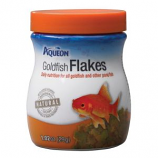 Available in flakes or granules to accommodate the various goldfish feeding habits through the water column.. . . .
Internal power filtration. Preloaded with replaceable small carbon cartridge. Easy installation and self priming. 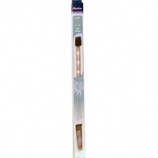 Includes suction cups and hanging clips for easy placement. .
Internal power filtration. Preloaded with replaceable medium carbon cartridge. Easy installation and self priming. 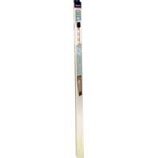 Includes suction cups and hanging clips for easy placement. . 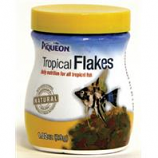 Provides all the nutritional essentials for a wide array of tropical fish.. These diets are nutritional building blocks that provide a healthy daily diet and bring out the natural colors of fish.. . . . 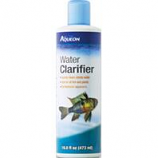 Simple to understand and apply these products will help maintain the healthiest environment for your aquatic pets.. Works by clinging to the suspended dirt particles that cause the water to appear cloudy or murky.. Make it easier to filter out dirt particles or have them settle to the bottom of the aquarium.. 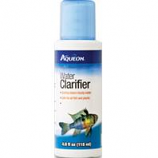 Safe for all fish and plants.. For fresh or saltwater aquariums..
Neutralizes the chlorine typically found in tap water making it safe for fish.. 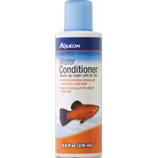 Helps reduce the stress on fish as they become familiar with their new environment.. Aids in restoring the natural slime coat to skin and gills which can be worn away from netting and transporting fish.. . . 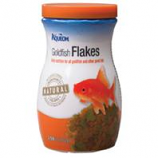 Whether feeding common goldfish fancy orandas or koi provides a daily diet to meet a fish's nutritional needs.. . . . . 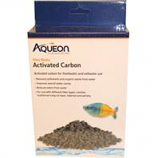 Activated carbon for freshwater and saltwater use. Removes pollutants and organic waste from water. 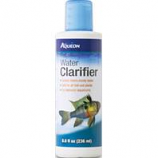 Improves overall water clarity. Reduces odor from water. For use with different filter types: canister traditional hang on back internal and wet/dry. 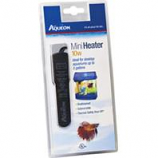 For fresh and saltwater aquariums up to 155 gallon. Easy access for routine maintenance. Multistage filtration. 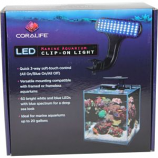 Flexible setups for optimal performance. .
For fresh and saltwater aquariums up to 55 gallon. Easy access for routine maintenance. Multistage filtration. Flexible setups for optimal performance. . 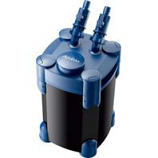 Designed for aqueon quietflow canister filter 300 and canister filter 400. Mechanical filtration. Traps micro particles and debris. 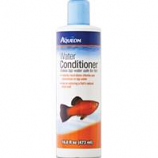 Improves overall appearance and water quality for fish and livestock. 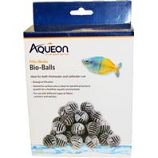 Ideal for both freshwater and saltwater use. Water in lakes and rivers contain renewable trace minerals that are essential for fish and plants to live and grow.. 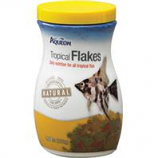 In an aquarium environment these minerals are depleted over time by fish plants and carbon filtration.. Replaces biologically essential minerals restoring water to its natural state and promoting health color and vigor in fish.. . .
For fresh and saltwater aquariums up to 75 gallon. Easy access for routine maintenance. Multistage filtration. Flexible setups for optimal performance. . 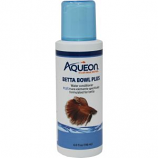 Specifically formulated for smaller bowls and aquariums.. Instantly conditions tap water for fish and plants by neutralizing harmful chlorine chloramines and ammonia.. Works well when keeping bettas alone or with plants.. Can be used for other aquatic species.. .
Water conditioner plus trace elements specifically formulated for betta. 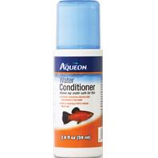 Neutralizes harmful chlorine chloramines ammonia and heavy metals. . . . 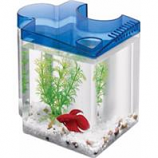 Kit contains:1/2 gallon aquarium including lid with feeding hole. Food and water care samples. Decorative plant and gravel. Frosted walls prevent betta from seeing one another. Interlocks and link up to four seperate aquariums to create the ultimate betta puzzle. . .